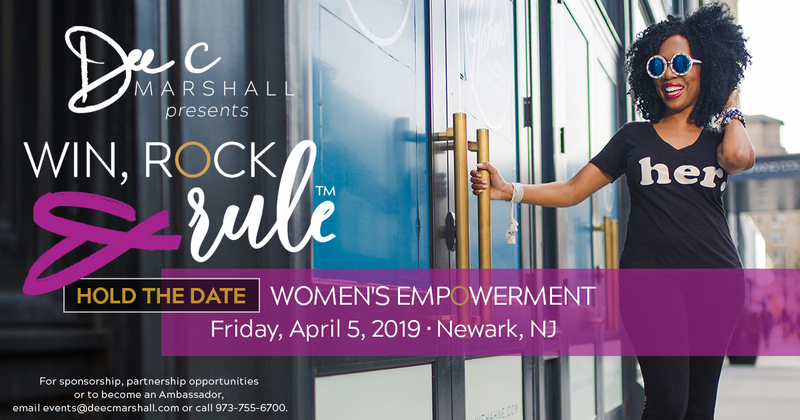 She is the creator of the Win, Rock & Rule Empowerment, an event that takes annually in New Jersey. It’s in its ninth year. 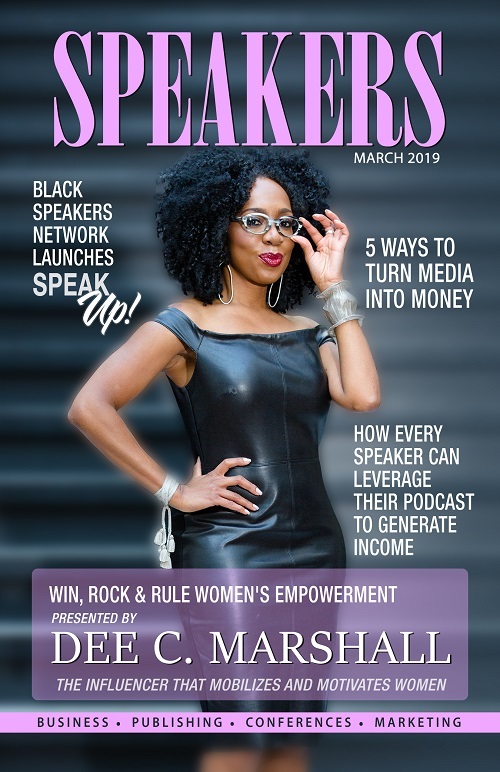 Dee C. Marshall is… a Game Changer, Power Player, Fire Starter, Mover & Shaker and United State of Women Nominated Change Maker. a Wall Street alumni. Former corporate executive and leadership trainer for Fortune 500 companies including Merrill Lynch, Prudential Securities, Moody’s Investor Services, Johnson & Johnson, and The New York Times. a Capitol Hill go-to for women leaders. Women of Congress call on Dee to co-convene women’s initiatives, gather local women leaders, strategically plan the mobilization of women, and provide insight whenever they need a young, fresh perspective on connecting with women. a respected authority for high-ranking, high-profile, high-level women. Dee has coached the First Lady of Bermuda and was called upon by the Premier of Bermuda to work with the top women leaders of the country. Her client roster includes women in corporate, FBI, NCIS, those who bear titles of Chief Judge and Mayor as well as Ministry Leaders. a connector with golden contacts. Networked from power hubs like Wall Street and The White House, as well as industry and media, Dee is internationally recognized as a mover and shaker who shares her network. a genius in mobilizing women and leveraging new media. Dee established a community service movement in the height of the recession by leveraging social media to grow to a network of over 200k …. in three countries and over 25 U.S. markets. a subject matter expert on diversity, women’s success and a media contributor for Essence Magazine. a survivor and go-to on career transitions and reinvention. Not only has Dee endured many corporate restructures, she also made it down 33 flights of stairs on September 11th after witnessing the second plane crash into the World Trade Center. an expert teacher and trainer. Dee has spoken at over a dozen universities, been called upon to teach social media at B Schools, delivered a commencement speech at DeVry University, and recently signed on to teach a Continuing Education Leadership Development Program at Pillar College. a powerful speaker and motivator known on the speaker circuit at women’s conferences, industry conferences, and all over the globe.